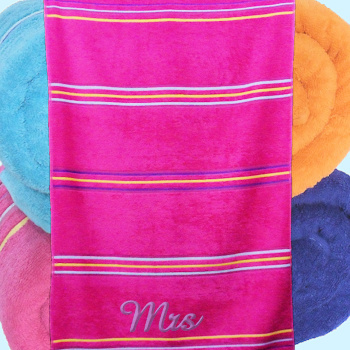 100% Cotton 450gsm beach towel. Soft Terry cotton providing quick absorbency and softness. 100% Cotton 450gsm beach towel. Soft Terry cotton providing quick absorbency and softness. Beach Towel measures 75 x 150cm.